First introduced to the park in 1664 as a gift from the Russian Ambassador, over 40 pelicans have since made the park home. 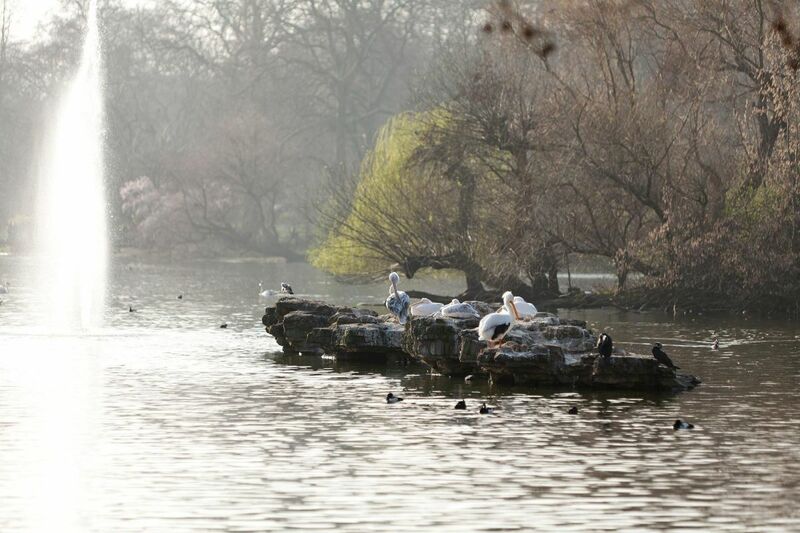 See much-loved current residents - Louis, Vaclav and Gargi - basking on their favourite rocks and being fed fresh fish between 2:30pm and 3:00pm every day, next to Duck Island Cottage. The pelicans are free to roam but rarely stray far from the lake. 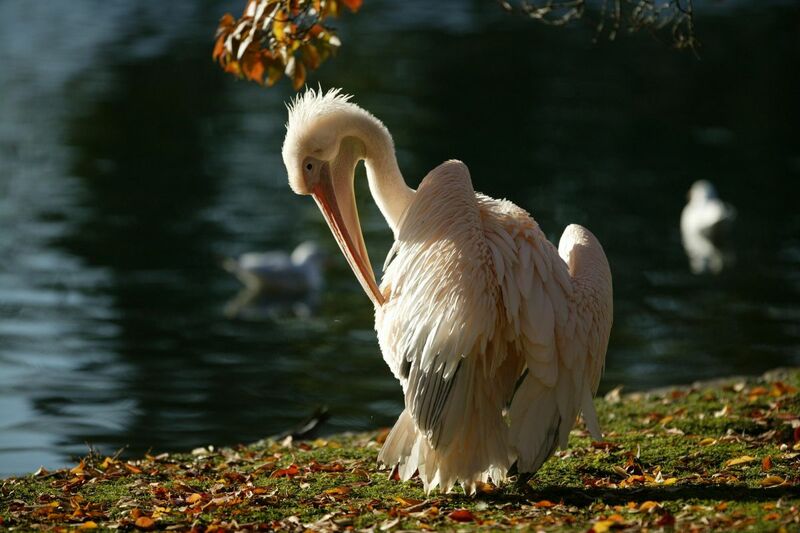 Look out for the pelicans catching fish from the lake and swimming and preening together. Pelicans are outgoing, sociable creatures. One rather mischievous pelican used to fly over to London Zoo in The Regent's Park to steal fish for lunch and they will often sit on park benches next to visitors! 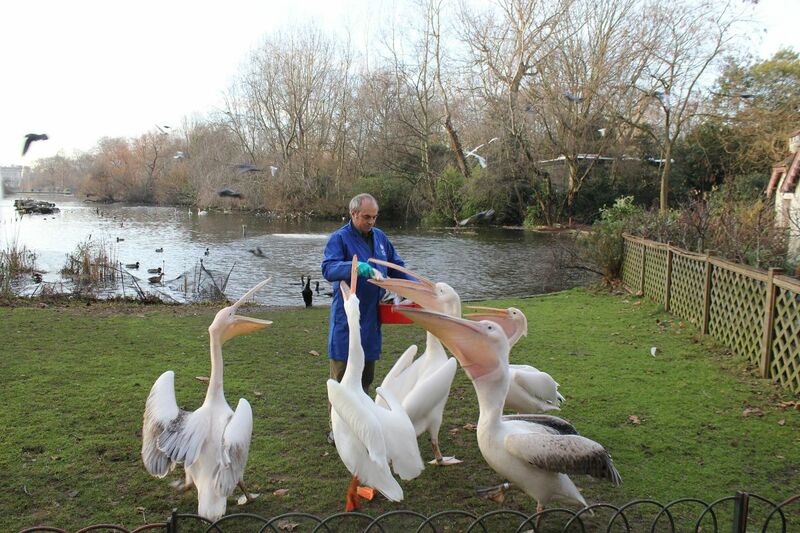 In 2015 Royal London became our official pelican partner, helping to keep the pelicans healthy and well fed. Thanks to the partnership, we can also provide new information in the park about the pelicans, as well as education materials and workshops for schools.